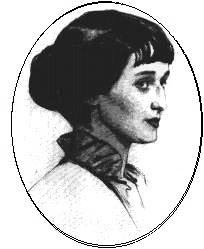 ﻿ Poetry Lovers' Page - Anna Akhmatova: "Muse Went Away..."
You are here: Home » Russian Poets » Anna Akhmatova » "Muse Went Away..."
ANNA AKHMATOVA: "Muse Went Away..."
With large drops of dew in her slip. She fled after my slender guest. As the gate into her own land.